Tiffany Hunter's mother left over a year ago. Now, hurt and angry, Tiffany and her father barely speak to each other. Tiffany is also having problems with her white boyfriend. Then her father takes in a creepy, mysterious boarder. Pierre L'Errant has carefully planned his trip home after many centuries in Europe. Homesick and bored with everlasting life, this night wanderer helps heal Tiffany and himself. A non-romantic vampire novel, created with intelligence, emotion, and spirituality. Highly recommended. The world is about to end! It will involve earthquakes, bad weather, and volcanoes. Survivors will be devoured by very hungry demons. As expected, the novel is full of violence, action, sci-fi, fantasy, and laughs. In other words, it is a fun, enjoyable read - a perfect Hallowe'en treat! The dark-thirty is the half hour before nightfall, when monsters and ghosts were about to come out. These spine-tingling tales are rooted in African-American history and culture. Some depict the horror of slavery and racism, adding an extra element of terror that educate as well as entertain. Matthew, Robert's seven-year-old brother, vanishes on the way to town. Four weeks later, his parents don't speak about Matthew, and as time passes, it's as if Matthew never existed. Meanwhile, the whole town of Horshoe, Sakatchewan, is memerized by a mysterious, pale man who promises to bring much-needed rain to the drought-stricken farms. An hypnotic, slow-moving novel with a very creepy ending. An exploration of different dimensions, stacked precariously one atop the other, seemingly to infinity. An intriguing and frightening novel. Braver readers may want to try The Pop-Up Book of Nightmares by Charles Melcher. A young girl gets lost in the woods in this spooky pop-up book. With large-scale paper sculptures and fascinating special effects (watch out for the lightning)! 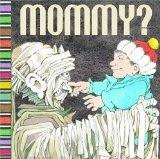 A mischievous toddler searches for his mother in this funny, scary pop-up book. I was pleasantly surprised by the Disney film Meet the Robinsons. It is based upon A Day With Wilbur Robinson, a picture book by William Joyce. The movie tells the story of Lewis, an amateur inventor. When his latest experiment is sabotaged, he and his time-travelling buddy, Will Robinson, must figure out a way to prevent a villain from creating an ominous future. The movie gets a little out of control during the family Robinson scenes, and the time-travel plot confused me, but the film's motto to keep moving forward (rather than dwell on past failures) is a good message to impart without being overly didactic. Maurice Sendak's Where The Wild Things Are was a wonderful book. When I heard it was being adapted into a live-action film, I was initially wary. My interpretation of a book often clashes with that of the director, and I worry that the book's spirit will be lost. But the trailers for "Wild Things" were really good, so I eagerly anticipated the release of the film. Unfortunately, my expectations were too high. 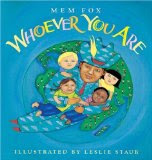 In the book, Max's mischief causes his mother to send him to bed without supper. Max then imagines himself on the island of the Wild Things, who declare him their king. He leads them in the wild rumpus, then sends them to bed without their suppers. He is rebelling against his mother and wants control over his situation. But Max was lonely and wanted to be where someone loved him best of all. So, his anger spent, he sails home where he finds his supper waiting for him, and it was still hot. The film provides a backstory for Max: he is angry because of his parents' divorce, and hurt that his sister didn't defend him when her friends destroy his snow fort. He retaliates by destroying items in her room. His other manifestations of anger, while initially amusing, take on a more disturbing aspect, which seems to require the intervention of a therapist. The Wild Things also seem to need therapy. They aren't getting along with each other and want Max to take their sadness away. I thought the film would be a wonderful fantasy, with the Wild Things helping Max resolve his anger before going home. But I couldn't understand where the sadness came from, nor figure out the intended audience for this film. Children will enjoy the wild rumpus, which ends in a lovely furry pile (the Wild Things look wonderfully touchable). But then Max decides to play war. Playing war always starts well, but inevitably, someone always gets hurt. Max realizes that he can't help the Wild Things, so he goes home. Overall, I think the movie missed the spirit of the book. Where the Wild Things Are is meant to be a children's fantasy that offers them a safe outlet for their emotions. At the same time, it reassures them of a parent's capacity to love and forgive. It is comforting rather than sad. A book that explores the body and the mind, and the things that make you unique from everybody else: your genes, your brain, and your personality. Entertaining and revealing, with fun activities and full-colour photographs, it should appeal to inquisitive kids. Winston writes that psychologists think male and female brains have different skills. That was the prevailing view when Winston's book was published in 2004. Neuroscientists have since discovered that there is no essential biological difference at birth between a boy brain and a girl brain. Experience, opportunity, and other social factors such as perception, influence the brain's development. For more information, read the Brainstorm articles in the Toronto Star at http://www.thestar.com/atkinsonseries/atkinson2009/article/720004--part-4-newborn-brains-are-similar-so-nurture-makes-the-difference. Another book that presents scientific information in a fun, yet disgusting way. Fortunately, the cartoon-like drawings are in black and white, which tone down the grossness factor. The authors tend to overuse adjectives and exclamation points: everything is lovely! baffling! or incredible! But the interactive quizzes should help kids retain what they learn. Published in Australia as Sick As: Bloody Moments in the History of Medicine. A very interesting, disgusting, yet humorous look at the beginnings of medicine and the war against germs. Full of extremely gross and graphic drawings that, while appealing to many kids, may distract them from the informative text. This is a story about photosynthesis. It relates, in words and pictures, how the light energy from the sun flows through every living being on Earth. It is also a reminder that there is unity in all of life. The science behind the story is explained in detail at the end of the book. Concrete poetry uses verse lines to illustrate the poem's subject. They are also known as shape poems or picture poems. 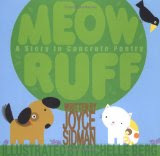 Meow Ruff is about the friendship that develops between a dog and a cat, who bond during a rainstorm. Kids will have fun following the words that cleverly describe and shape each object, from clouds formed by puffy white letters to raindrops described in vertically descending typefaces. I love collecting alphabet books that are unique, imaginative, and artistic (see the posts below, as well as my posts for June 9 & 15). Imagining the Alphabet, a title from Picture It Picture Books is different. The pages are designed to let the reader add their own word/picture combinations to create a personalized alphabet book. It's a wonderful way for kids to learn new words and to stimulate their imaginations by creating their own artwork. Imagining the Alphabet would make the perfect, lasting keepsake for each child in your family! B is for Viking, L is for hair dryer. After the initial confusion, the reader discovers that A is for the alligator who is eating a salad, B is for the beaver who is wearing a viking helmet, and L is for the lion who's drying his mane. A hilarious alphabet book for observant children. Artist Barbara W. Klunder imagines that the animals on Toronto Island pretend to be people who throw an "animals only" party. Her fanciful watercolours depict accordion-playing ants, bicycle-riding beavers, and panhandling pigeons. The accompanying text are amusing alliterative descriptions that reflect Klunder's love of the environment and her opposition to the Island airport. Two little rabbits, one white and the other black, played happily in the forest. But often, the little black rabbit looked very sad. Finally, he admitted that he was wishing that he could be with his friend forever and always. "Why don't you wish a little harder?" said the little white rabbit. So the little black rabbit wished a little harder, and his wish came true. Note: First published in 1958, this was once a controversial book. It was deemed unacceptable because it depicted a marriage between two animals of different colours.